Each year, the International Institute for Species Exploration at Arizona State University lists the top 10 new species from the previous year, as selected by an international committee of experts. 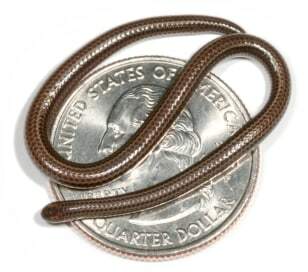 The list includes the world's smallest snake, known as Leptotyphlops carlae or the Barbados threadsnake. 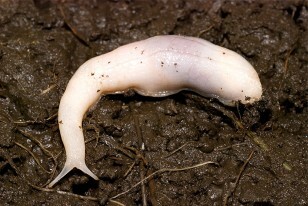 This specimen was found on Barbados and measures only 4.1 inches (104 millimeters) long. Click on the "Next" button to see the nine other species. The Tahina palm, or Tahina spectabilis, is a gigantic new species of palm represented by fewer than 100 specimens, concentrated in a small area of northwestern Madagascar. The plant works itself to death, producing a spectacular display with countless flowers. 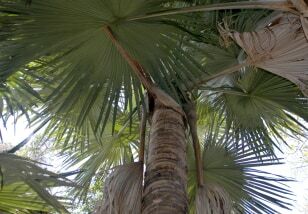 After fruiting, the palm dies and collapses. Soon after the publication of the species, seeds were disseminated throughout the palm grower community. Sales raised money for conservation efforts, and it has become a highly prized ornamental. Borneo's Phoebaeticus chani is considered the world's longest insect, with a body length of 14 inches (35.6 centimeters) and an overall length of 22.3 inches (56.7 centimeters). The inset shows the insect's head. 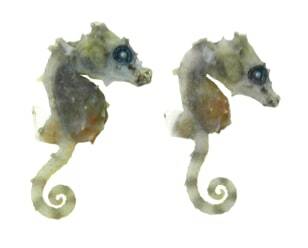 Satomi's pygmy seahorse, also known as Hippocampus satomiae, is the smallest known seahorse with a standard length of 0.54 inches (13.8 millimeters) and an approximate height of 0.45 inches (11.5 millimeters). The specimens were collected in waters off Derawan Island in Indonesia by dive guide Satomi Onishi. The ghost slug, or Selenochlamys ysbryda, was found in Cardiff, Wales - one of the last places on earth where you'd expect to spot a new species. Its species name is derived from "ysbryd," the Welsh word for a ghost or spirit. The name alludes to the creature's ghostly appearance, its nocturnal, predatory behavior and the mystery surrounding its origin. 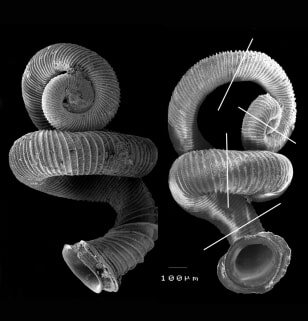 This gastropod species, Opisthostoma vermiculum, represents a unique morphological evolution in its manner of shell twisting. Most gastropod shells tightly coil according to a logarithmic spiral and have an upper limit of three coiling axes — but O. vermiculum, discovered in Malaysia, has four different axes. The Deep Blue Chromis, or Chromis abyssus, is a deep-dwelling fish from the neighborhood featured in the popular animated film "Finding Nemo." 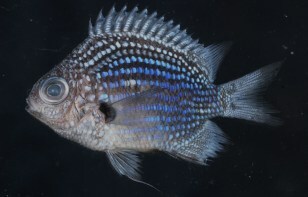 It was one of the first new species described in 2008. The discovery in the western Pacific, near Palau's Ngemelis Island, highlights how little we know about deep-reef diversity. 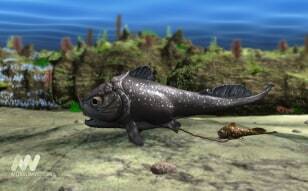 This artist's conception shows the recently named species Materpiscis attenboroughi, the oldest-known vertebrate that bore live young. The fossil, discovered in Western Australia, preserves the remains of a mother fish giving birth during the Devonian Period, about 380 million years ago. Charrier coffee, also known as Coffea charrieriana, is the first known naturally caffeine-free coffee species found in Central Africa. 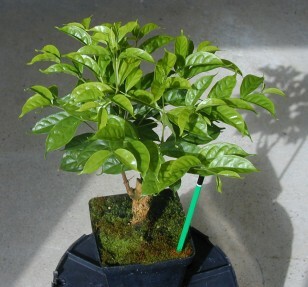 The plant was found in Cameroon, which is a center of coffee diversity. The wild species could be used for breeding naturally decaffeinated coffee beans for commercial production. Japanese scientists discovered the species of extremophile bacteria now known as Microbacterium hatanonis in a most unusual place: plain old hairspray. 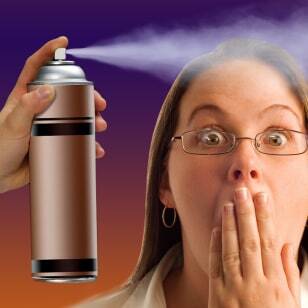 The bacteria apparently suvive quite well as a contaminant amid the pressurized chemicals. "Further testing will establish whether the species is a threat to human health," one of the researchers said.